Did you know that sending push notifications can boost app engagement upto 88% whereas 65% of users return to an app within 30 days when push is enabled. Sending push notifications can increase app retention rates by 3-10x whereas users who opted in to push notifications are retained at nearly 2x the rate compared to users who have not opted for push notifications. 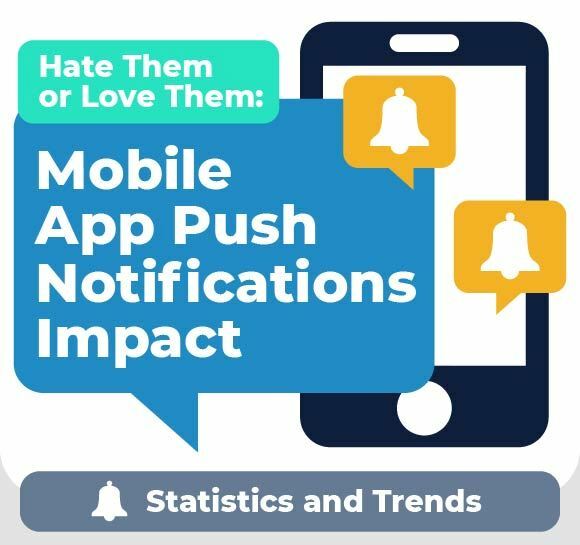 Check out our infographic to know about the growing importance of mobile app push notifications, the impact of sending push notifications on app retention and engagement rate and latest statistics and trends.